Farzad Rashedi is an associate attorney with the law firm of Roseman Law, APC. 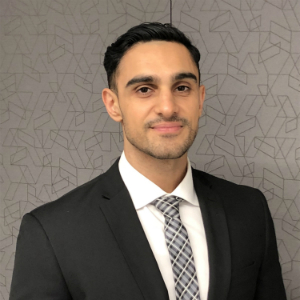 Prior to joining the firm, Mr. Rashedi worked for a civil litigation defense firm where he represented employers, third-party administrators and insurance companies in a wide range of litigation matters. In addition, Mr. Rashedi has experience assisting and advising business owners with regulatory compliance and related transactional matters. Mr. Rashedi received his Bachelor of Arts in Economics from California State University, Northridge. Prior to attending law school, Mr. Rashedi worked in the real estate and banking industry, where he gained extensive knowledge in real estate transactions and mortgages. Mr. Rashedi received his J.D. from Syracuse University College of law, where he focused his areas of study in commercialization of emerging technologies. In addition, during his last year of law school, he attended UCLA School of Law as a visiting student, where he further honed his knowledge in media, broadcast and technology regulations.